A record 913 "easysearches" were recorded from our supporters in the week 11-17 December, generating £4.59 for the Group, according to an e-mail received today. This brings to £27.92 the total funds raised from 4,950 completed searches. Are you one of the 6.4m people that use a search engine every day? If so then why not raise money for 2nd Wakefield Crofton Scout Group while you search? Easysearch combines the results of several search engines such as Yahoo!, Bing and Ask to ensure you can always find what you’re looking for. But the fantastic thing is that EVERY TIME you search, half a penny is raised for 2nd Wakefield Crofton Scout Group. That’s right – you don’t even have to buy anything! Almost 17 million searches have been made using easysearch and each one has raised money for good causes.  So the next time you need to find something online, please use http://2ndwakefieldcroftonscouts.easysearch.org.uk and raise money for 2nd Wakefield Crofton Scout Group with every search you make.